There was a notable trend of convergence at SXSW this year, with the role of the future marketer, digital marketing technology and the customer journey dissected in a number of sessions throughout the week. The revolution of the customer journey from the physical world into digital environments now requires a platform-agnostic approach to enable a frictionless customer experience to solve customer problems. ‘Easy to transact with’ equalling higher brand engagement was a common theme throughout the event. Context was the connective solution. 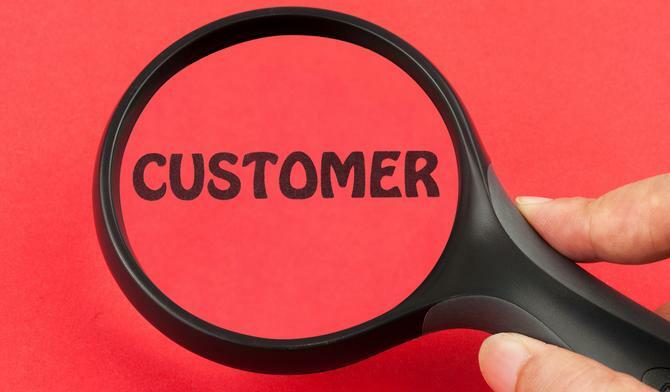 This means using data and insight to achieve a more relevant understanding of the customers’ problems or needs state. For brands, this means intersecting with them at the right time when their needs or ‘problem state’ is most acute. As an example, consider the effectiveness and message saliency of advertising branded sports clothes during or after a workout. Look at when consumers are in their active wear versus advertising to them during their work commute as they are reading their daily news or social media feed in work attire. The implication for marketers is we need to be more contextually solutions-focused and understand whether we are saving time or giving time. These are the ultimate proof points of being easy to deal with. For marketers in this digital era, time is the commodity we are trading in. As Shiv Singh, Visa’s SVP global head of digital and marketing transformation, said, while Visa was founded in 1960 and had success in the physical world, the world is changing and it must change with it. Visa has had to extend its brand beyond the traditional bricks-and-mortar banking institution into crafting the future context of digital commerce for its customers. Context was also noted in the session ‘Defining the Age of Smart Places’ panel, and as critical for global hotel group, Starwood, which created its Starwood Preferred Guest keyless smart app as a way of reducing customer experience friction. By understanding the contextual pain points throughout customer journey of the check-in process, Starwood delivered an industry-first app which meant its Preferred Guests could seamlessly check into a property and enter their assigned room through an SPG keyless functionality within the application. This experience should have broader digital implications for the Starwood marketing team. I would expect with the extension of this mobile technology, both a broader and deeper understanding of their customers’ behaviour will provide further opportunities to undertake more contextually relevant digital marketing programs. And of course the side benefits include positive operational implications in the physical world through reduced labour costs and shorter wait times for those in the queue to ultimately deliver improved brand advocacy. It also means less harried frontline staff. From a data perspective, this also means applying the human capital of common sense to the dashboards served up by digital platforms to understand the context or ‘why’. Heineken USA marketing manager, Amberly Hilinksi, was another to reflect on context in a presentation on ‘Defining the Age of Smart Places panel’. While there may be low engagement with a digital coupon served up to a consumer on a digital marketing platform through NFC technology, within the context of the point-of-sale, there could be a higher incident of digital coupon redemption by the consumer at their point of purchase. But for marketing organisations to have a contextual understanding of the customer problems they are solving, it’s not going to just come down to data, it requires a balanced bench of talented people. As Tucker Kain from the LA Dodgers’ shared in the ‘Naked Innovation Brand Start-Ups’ panel, it was important for his team to have the right mix of the ‘box office’ guy, who has been with the LA Dodgers for 40 years, with new views. This provided the historical context to innovative thinking and problem solving. While we’ve previously focused on ‘content as king’, what’s become more important now to marketers is the ability to have the deeper context to provide the right content to the right person at the right time. - Michaela Chan is the CMO of oOh! Media. Check out our profile of her here.